Can Tattva Shakti Vigyaan help in further deepening my spiritual experiences? I am Vitish from Pune. I started feeling emptiness in life since 2007 and I did many things and I guess finally it has led me here. I have been meditating for about 11 months now and have done art of living courses. I have also done couple of sessions of Past and Present life regression as there have been pretty serious problems in my life since childhood. I came across your site through internet search. I want to know how TSV will help me more than what I am doing now. I am new to this and would like if you would explain me in detail. Hoping to receive your reply soon. I understand what makes a person spiritual – Just like you most of the people turn spiritual while facing a rough patch in life. It gets really difficult to handle a heartbreak, loss of job, loneliness etc. Sometimes it is that strange feeling of void within even after achieving all material success. When anxiety strikes, in that moment of panic and desperation they look around for spiritual solutions and grab what appeals to them the most or is easily available at their door-step or at best nearby. In fact I have seen that most of such people land up doing some well-popularized, most discussed, talk of the town type courses or therapies. But one must understand – spiritual journey which is started in your low times is mostly aimed for attaining normalcy in life.. in better words – it is one’s desperate attempt to get back to ‘Life’ again! I have my own way of making people learn how to sail through life and rejoice its every moment. Its neither acceptance nor struggle. It is not indulgence or dispassion either. It is not even that unconcerned state of being which is said to be “saakshi bhaav” or witnessing. I say – Life is for living and being in it with 100% of your energies and interest while exploring those unknown layers of your being within. And thus spirituality is not a capsule course, a workshop, a breathing technique or initiation – it is The Way. And that way should allow unfolding of your hidden potentialities. A true path should lead to development of your abilities and must create that unceasing interest in “your own self’ which sets you on the wonderful, untiring journey of self-exploration and experimentation. 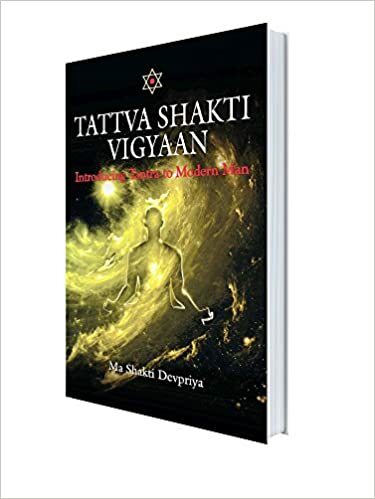 Tattva Shakti Vigyaan – is “The Way of Creation”. That creation is called universe or brahmaand: You and I, your neighbour, pets, plants, trees, oceans, earth, planets, elements… whatever you can and can not lay your finger on, whatever you can think or imagine of… this visible universe, its unseen-unexplored realms outside, your body, mind, energies, even these thoughts which are echoing in your mind, the light of understanding & knowledge in your being are all part of this creation. There is so much to explore and know about out there but if we fail to realize and understand those principles which keeps all this together we miss the point altogether. Masters say “To experience that center of your being where from your life originates is the purpose of this life.” TSV is about that path which takes you towards that center of your being. Before you commit yourself to any spiritual practices – be sure if that is a Path, a road, a track towards the destination towards your core of being or just an arrangement or technique to make you feel comfortable with the outer world. People turn towards spirituality because they want to be healed, get rid of their pains, improve their relationships, finances and health… but think again because once these issues will get resolved what remains to be attained? Solution oriented spirituality is business of marketplace. Authentic spirituality begins only with the quest of true knowledge – and ends when you dissolve in that knowledge. Tattva Shakti Vigyaan (TSV) is a systematic (it has 5 levels) spiritual approach which assists you in experiencing the Truth. It is that path which take cares of your all purushaartha i.e. Dharma, Artha, Kama and Moksha (Virtuous living, Financial aspect, Fulfillment of desires and self-realization). It takes you from gross to subtle and subtler to subtlest in steps. The first level on this Path is known as “Tattva Shakti Vigyaan”. Makes you realize how many hidden capacities your body has. How you can connect to different elemental energies in this universe. Teaches you How to balance elemental energies in your body so that you develop a strong vehicle for your spiritual journey. It makes you understand that your “Nature” is controlled by which energies you draw from external nature. Cleanses your emotional baggage and clears your mind. It teaches how to communicate your desires to Elemental Energies so that they can fulfill it. It cleanses & strengthens your Nadi-System which will later be responsible for transmitting Kundalini energy. It balances your energy dynamics and also unclogs your energy channels. It removes your hindering vibrations so that your meditating experience becomes truly blissful and not like a relaxation session. It makes your relationship with yourself and others free-flowing and pleasant. It improves your overall efficiency and makes you energetic and enthusiastic.